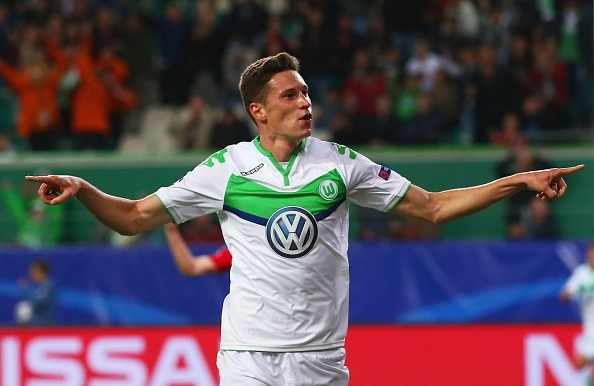 Wolfburg attacker Julian Draxler is set to stay at the German club, according to club’s representative. The German international has been linked with several top sides including Premier League giants Arsenal. Gunners boss Arsene Wenger is keen to add more attacking options for the upcoming season but is yet to sign. Draxler has been reportedly willing to leave the Bundesliga side but the reports earlier today confirmed that Wolfsburg have told that Draxler will stay at the club despite of strong links in the past few weeks. Furthermore, the German side made it clear that if they receive any big offer then they could change the mind. Draxler penned a five year deal last season and told that he was very happy. But he was allowed to talk with other clubs only if they are willing to meet his release clause mentioned in the contract. Arsenal are now likely to take a step back from his pursuit. Wenger has already eyed several other forwards and could be launching an offer for them. The French boss is looking to give support to current striker Olivier Giroud who is the only senior striker in Arsenal’s squad.